Red maple, known botanically as Acer rubrum, is a species of deciduous tree know for its rich red fall foliage. There are numerous cultivars that vary from leaf shape and size to exact hue of fall foliage. Red maple flowers in bare branches in early spring in either red or yellow and produces red-winged seed pods called samaras in the summer. According to Virginia Tech University, red maple species grow to 90 feet at maturity, with generally pyramid-shaped or rounded crowns. Northwood is a registered cultivar that was bred for tolerating cold winter temperatures and weather conditions. It has an upright oval canopy of up to 45 feet, and the branches face up more than out but may morph in shape with age. The leaves turn color in the fall to warm reddish hues, but is difficult to predict and highly variable from tree to tree. October Glory is another registered hybrid that produces deep red to burgundy leaves in the fall. It maintains deep green foliage through summer and turns color in October. It's slightly less cold hardy than some other cultivars and has an upright oval canopy reaching a height of 50 feet under optimal conditions. Armstrong is an upright and narrow canopy tree that reaches 60 feet in height and 15 feet in spread at maturity. It produces red to orange leaves in mid-fall, with the hues inconsistent and variable by tree. It can often be found hybridized with sugar maple cultivars. 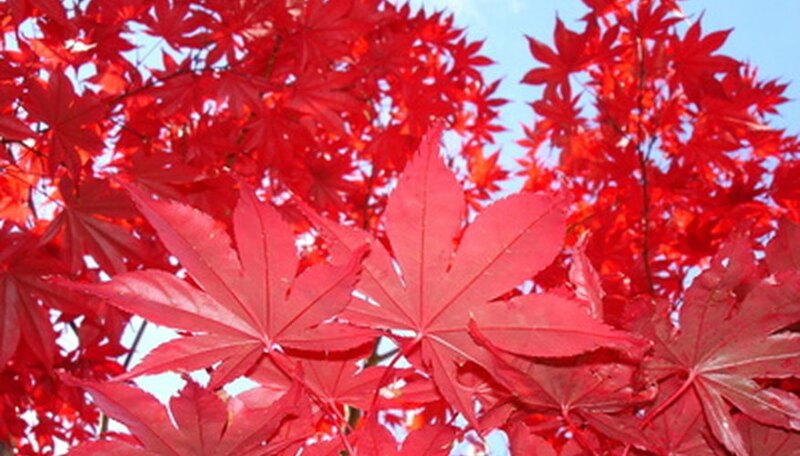 Also known as its registered name Red Sunset, Franksred maple is a hybrid with a rounded, pyramid-shaped crown. The leaves turn a bright red in early fall and the cultivar is slightly more cold hardy than others. The tree reaches up to 50 feet in height under ideal cultural conditions.